The Washington Nationals held their annual offseason Natsfest this past weekend, a day long event to keep Nats fans involved with the players/coaches/management/announcers/etc. 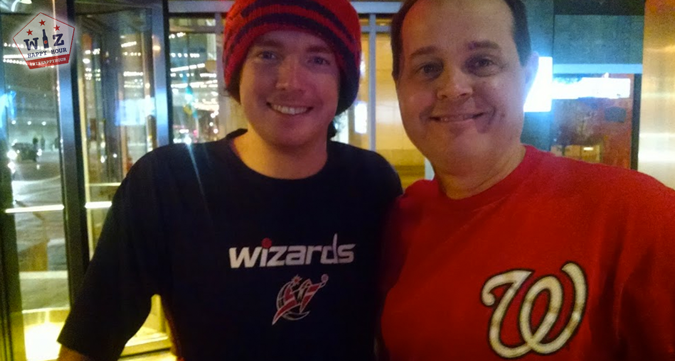 More importantly, when the event was over, I got to hang out with a bunch of awesome Nationals fans (who were at the Wiz game last night) and throw in a little bit of Wizards talk at the afterparty (Photos). 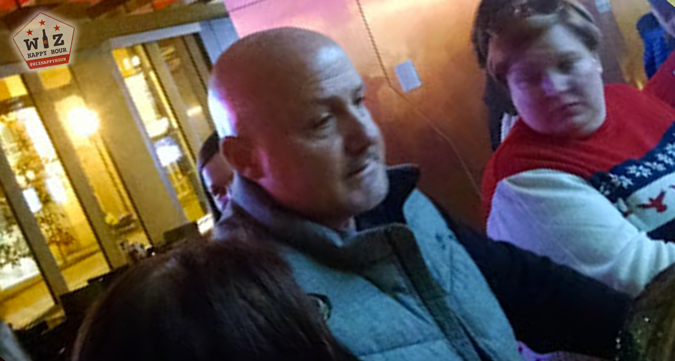 I had a lot of fun and at one point in the night I may have been drinking a Flying Dog Raging Bi**h with (or next to) Nationals GM & President Mike Rizzo. 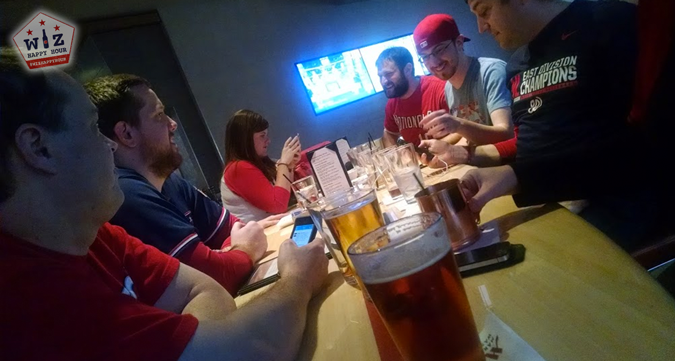 The happy hour / afterparty was organized by a large group of Nats fans called the Half Street Irregulars and a bunch of Nats fans on Twitter. They plan different fan events all season long so people can meet new Nats fans and talk baseball...hmmm sort of the idea for Wiz Happy Hour. Most of the fans at this event were strictly Nationals fans, but my Wizards shirt brought out a lot of discussion about the Wiz. Week by week more people in town keep noticing, and in a few months the Verizon Center is going to be the place to be in DC. In venue notes, the event took place at High Velocity Sports Bar, located next to the Convention Center in basically the lobby of the Marriott hotel. It is a neat enough place but it has the hotel lobby vibe, hotel kitchen food, and hotel style pricing. With a happy hour consisting of $9 Moscow Mules and $6 beers, we most likely will never make it up there. I had a great time with the Nats fans and we look forward to having you guys on the Wizards bandwagon! GO WIZ!!! !